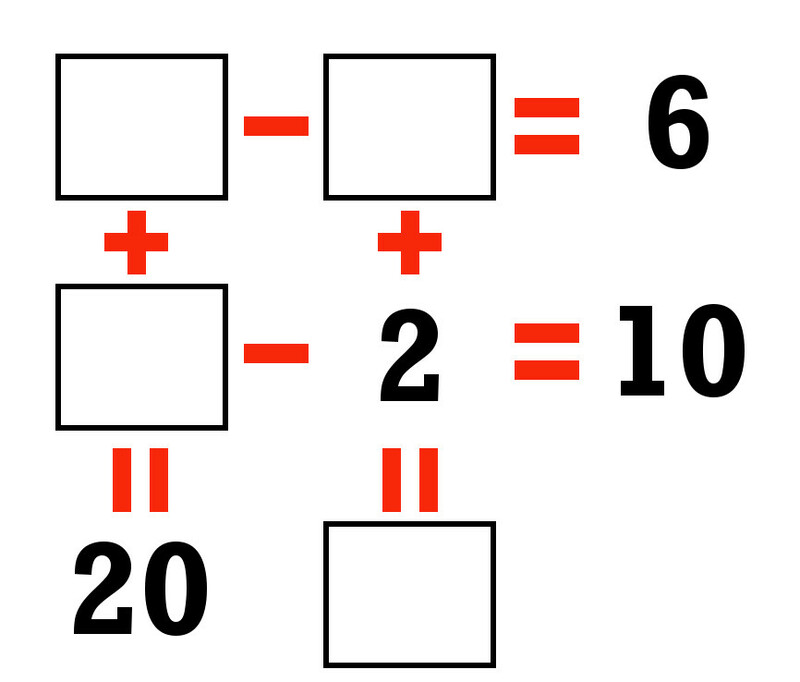 Can you solve this system of 4 different equations? There are 4 unknowns and you can solve these by first writing 4 different equation. This is a very interesting puzzle, and you can solve this in your head if you can, or you may have to write this down and solve it that way. NOTE: The subtraction symbol is ONLY used in the horizontal equations, but in the vertical equations, don't include it as a negative sign.